Star Sports, a sports broadcaster, launched Doompak doompak, a new anthem as Vivo Pro Kabaddi Season 5 inches closer to the playoffs and the final match. 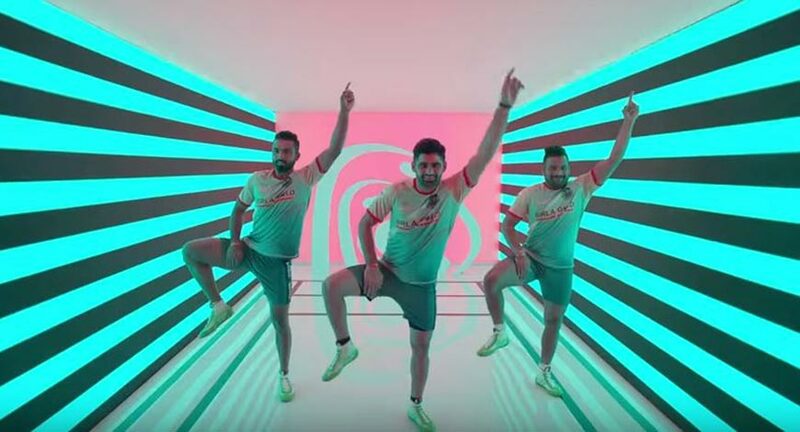 The anthem, released along with a music video features leading kabaddi stars. Pro Kabaddi League - can it match the IPL fame? With a vision to make kabaddi accessible and engaging for fans across India, Star Sports has built a narrative throughout the season, with a host of marketing campaigns. The new anthem, Doompak doompak invites fans to participate in the ongoing excitement for the last few matches of the season. Penned by Bollywood lyricist, Amitabh Bhattacharya, the lyrics takes fans into the journey of season 5 and the preparation for the final battle among the 6 qualified teams. The anthem is composed by music composer Ram Sampath. For season 5 of Vivo Pro Kabaddi, Star Sports has moved away from the traditional campaigns, to a celebration anthem. The film showcases players, referees, coaches and fans in an all-new avatar, celebrating the spirit of the sport, as the finale of a season of kabaddi draws closer. The film is scripted in 4 languages – Hindi, Tamil, Telugu, Kannada and Bengali, to ensure that it reaches sports fans across the nation. Season 5 of Vivo Pro Kabaddi has received a response, over 3 months, and now as the playoffs are approaching - the penultimate phase of the league – the campaign aims to stir more excitement into the mix. Vivo Pro Kabaddi Season 5 Playoffs begin from October 23rd to October 26th, from 7:30 PM onward and the final takes place on October 28th in Chennai. Fans can catch each match live on the Star Sports network.